Sasha Waltz & Guests will present Continu at the Israeli Opera, opening on May 15, 2019. The esteemed choreographer presented Körper at the Tel Aviv Performing Arts Center in 2001, and in 2008 Purcell’s Dido and Aeneas was performed at the Israeli Opera, which Sasha Waltz directed, choreographed and co-designed the set, featuring dance sequences in an enormous onstage aquarium. Continu is a work for 24 dancers that explores the tension and connection between choreography, music, and stage set. The work’s title suggests a process which is ongoing, continuous, ever changing. Continu was developed from site-specific works created for museum openings: the Neue Museum Berlin which was restored and redesigned by David Chipperfield, and MAXXI in Rome, designed by Zaha Hadid. 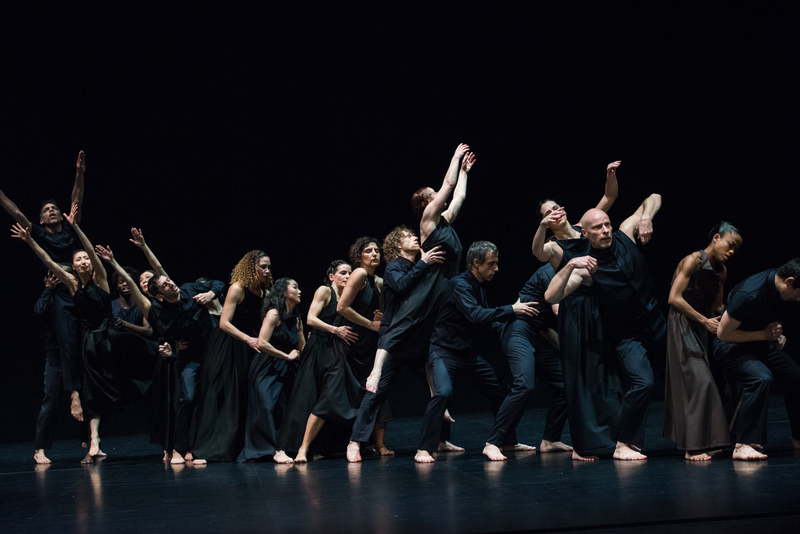 Following its premiere in 2010, Waltz worked with the dancers to arrive at Continu’s ultimate version in 2011. Music and its relationship with the choreography play a prominent role in the work, which opens with Iannis Xenakis’ Rebonds B performed live onstage by percussionist Robyn Schulkowsky. Edgard Varèse’s Arcana follows, with its own unique energies, later in the performance one hears the works of Claude Vivier and Mozart. Sasha Waltz was born in Karlsruhe, Germany, and studied dance and choreography in Amsterdam and New York. In 1993 she founded her dance company Sasha Waltz & Guests, together with Jochen Sandig. In 2000 she was chosen as one of the artistic directors of the Schaubuehne Theatre in Berlin. Following her five-year appointment there, she returned to devote her energies to her dance company. Sasha Waltz and Johannes Ohman are scheduled to succeed Nacho Duato as joint artistic directors of the Berlin State Ballet beginning in the 1919 – 2020 season. The dancers of Sasha Waltz & Guests come from around the world, and include three Israelis: Michal Mualem, Idan Yoav, and Yael Schnell. Wednesday, May 15 at 20:00, Thursday, May 16 at 20:00, Friday, May 17 at 13:00, Saturday, May 18 at 20:00. All performances will take place at the Israeli Opera/Tel Aviv Performing Arts Center. Duration: 95 minutes including intermission. Ticket prices range from 190 – 370 NIS, and may be ordered online from the Israeli Opera.